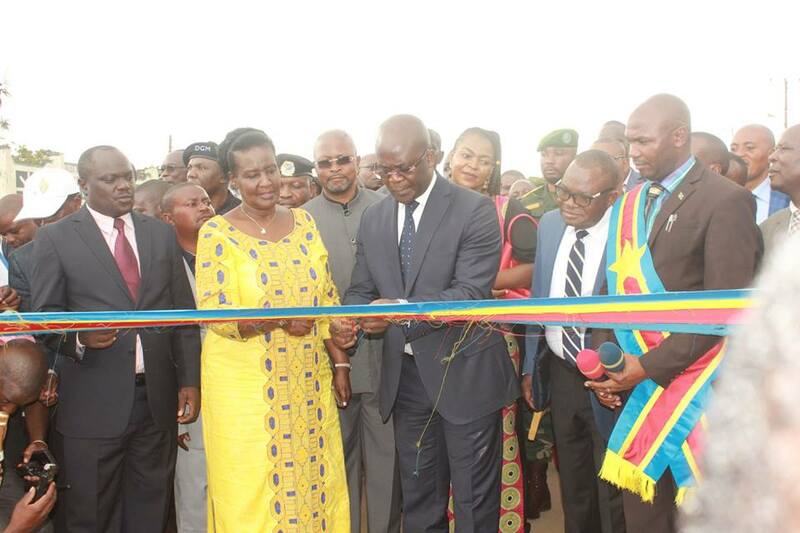 Minister of Trade, Industry and Cooperatives, Ms Amelia Kyambadde and her DRC counterpart, Mr Jean Lucien Bussa Tongba sign the MoU, in Kasese District on Wednesday. Uganda has signed a Memorandum of Understanding (MoU) with the Democratic Republic of Congo (DRC) to promote and streamline trade and investment between the two countries. In the MoU, both countries have committed themselves to remove the non-tarrif barriers to trade and simplify the cross border procedures. 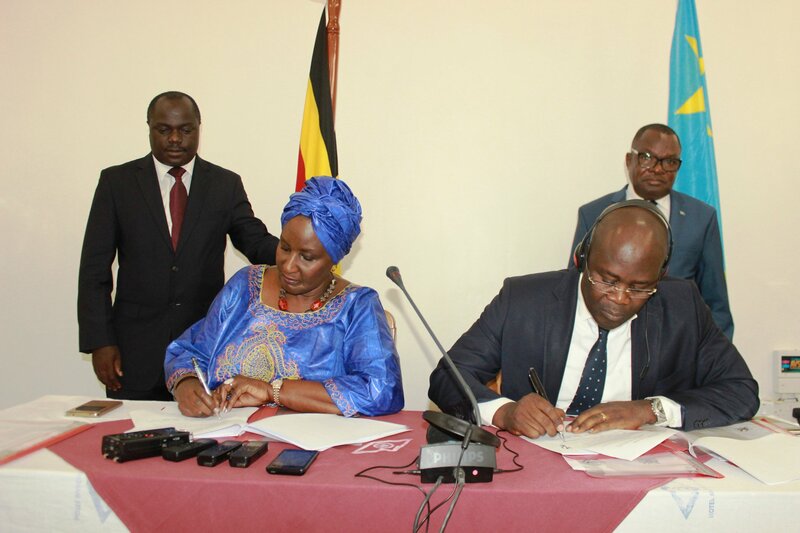 The MoU was signed by the Minister of Trade, Industry and Cooperatives, Ms Amelia Kyambadde and her DRC counterpart, Mr Jean Lucien Bussa Tongba, in Kasese District on Wednesday. Ms Kyambadde and Mr Tongba launched the Simplified Trade Regime (STR), an arrangement implemented by the two countries under COMESA to streamline cross border trade. STR seeks to improve the performance of the small scale cross border traders and enable them to benefit from the regional preferential treatment when importing or exporting goods within the region. Under the STR arrangement, goods worth $2,000 and below do not pay taxes. DRC ranks third in Uganda’s export destinations with exports valued at $418.9m.